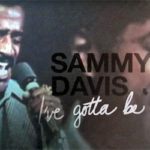 This page lists live performances of Sammy Davis, Jr. which were recorded for release. Visit Yes, I Can: Sammy’s Recording Career for background information to these sessions, and more information about Sammy on vinyl. Sammy Davis, Jr. (v) on a-k, m-n, (tap) on l.
Jack Benny (v) on b; Tony Curtis (v) on b; Dean Martin (v) on b; Frank Sinatra (v) on b. These performance were at the SHARE benefit with proceeds to the Children Guidance Centre. The recording as a whole is mostly Dean Martin with a a few songs by Frank Sinatra. "Taking A Chance On Love" contains parody lyrics and features Sammy with Jack Benny, Tony Curtis and others. Dean Martin (v) on b; Frank Sinatra (v) on b.
e, f, g; h, i, j, k, l, m, n; p, q performed as medleys. George Rhodes (arr) on t, (p) on a-d, o-u; Reunald Jones (t) on a-d, o-u; Terry Rosen (g) on a-d, o-u; Michael Silva (d) on a-g, o-u; Johnny Mendoza (bo) on a-d, h-u; Sammy Davis, Jr. (vib) on t, (v) on a-s, u.
Gary Fishgall's biography of Davis notes that his stint at the Cocoanut Grove began in October, and that Reprise recorded his opening night's performance. However, another online source lists this performance as recorded on December 14, 1962. While the master numbers seem to fit this date slightly better, master numbers appear not to have always been assigned according to recording date by Reprise. Dean Martin (v) on f, h-i; Frank Sinatra (v) on f-g, i. Dean Martin (v) on e, g-h; Frank Sinatra (v) on e-f, h.
George Rhodes (con) on a-b, (p) on a-b. The Count Basie Orchestra (acc) on a-b, h-i; Count Basie (p) on a-b, h-i; Dean Martin (v) on i; Frank Sinatra (v) on i; Johnny Carson (bkv) on i.
d, e, f, g, h, i, j, k, l performed as medley. These recordings were complied from 6 of Sammy's shows at the Sands Hotel. George Rhodes (arr) on a.
George Rhodes (arr) on a, c; Buddy Rich (d) on c; Sammy Davis, Jr. (vib) on c.
Some sources claim "Birth Of The Blues" was also recorded at this session, however the 'unreleased' bonus track on the 1996 DCC CD release is actually from the live recordings in May 1966 that became the "That's All" album. "Please Don't Talk About Me When I'm Gone" features a 40-second interlude beginning at 1:03 in which Sammy rants on a couple of topics including his tight pants, the south of France and "diff'rent strokes for diff'rent folks". It's unknown if this was a UK- or US-only feature on LP. The segment has been edited out of all CD reissues with the exception of the 2004 Warner Jazz CD reissue of "The Sounds of '66". i. J-4689 Theme from "Batman"
m, n, o, p, q, r, s; u, v performed as medleys. Leighton Noble and His Orchestra (acc) on e; Laurindo Almeida (g) on i-j. A collection of live performances (of varying audio quality) taken from around 1966. "You're Gonna Hear From Me" features custom-made self-referential lyrics to open Davis' performance. When singing "My Funny Valentine", Sammy implies the performance is around St Valentine's Day, dating this to around February 1966. He also introduces Laurindo Almeida on "Speak Low", mentioning that they are about to record an album together, indicating that the recording is pre-June 1966. A reference to Sinatra's then recently-released chart-topper "Strangers In The Night" dates "One For My Baby" to later that year. Sammy's engagement in Lake Tahoe commenced in August. "Where or When" was probably recorded there, as Davis refers to Leighton Noble and His Orchestra, the house band at Harrah's Casinos in Lake Tahoe during the late 60s. g, h; k, l, m, n, o, p performed as medleys. The selections released on K-Tel’s album were edited down for time. These performances are live recordings. Although they are listed in the MGM master catalogue as being bought by MGM from Motown in August 1971, given that the Blood, Sweat and Tears medley (f, g, h, i) was given the master number 72L 3208 by MGM, the recordings may in fact belong with the also unissued live performances MGM recorded in late 1971, which start with master number 72L 3209. "It Must Be Her" is listed as an instrumental take, with no details as to whether Davis contributes. A track listed as "Lorado and Talk" is most probably a recording of a Davis monologue along with Sammy singing "Streets of Laredo", which he usually did in while performing his quick draw gun routine. h, i; j, k, l, m, n, o, p, q performed as medleys. The above unissued recordings are listed in the MGM master listings as live performances in Las Vegas from around August 1971. Having just signed for MGM in August 1971, engineers were presumably sent to record Davis in action. 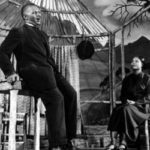 Sammy was appearing at the Sands Hotel in early September, so it is assumed these were the performances captured. On the 18th September, Sammy became ill following a show and was rushed to hospital suffering from what was diagnosed as an enlarged and misaligned liver. l. Do You Know The Way To San José? This performance was at the Operation PUSH (People United to Save Humanity) Exposition, which opened in Chigaco on 27th September, 1972. Rev. Jesse Jackson arranged for Sammy to perform alongside Motown luminaries and celebrities such as Marvin Gaye, The Temptations, Cannonball Adderley, Roberta Flack, Gladys Knight, Nancy Wilson and the Jackson 5. Having recently embraced (literally) Richard Nixon at the 1972 Republican National Convention in August, Sammy was widely booed while on stage. The performance appears in a documentary film made about the PUSH concert, called "Save The Children". d, e; l, m, n, o, p, q, r performed as medleys. Sammy Davis, Jr. (tap) on f.
Davis performed two concerts at the Sydney Opera House in August, 1977. The shows were recorded by RCA engineers and material was released over three LPs, two by RCA itself and one released by Warner Bros. Master numbers listed here are only for those recordings which were released at some point by Warner Bros. The exception to this is the "Frank Sinatra Medley" (l, m, n, o, p, q, r), which has a Warner master number, yet didn't appear on the Warner Bros. release. This is because the medley was planned for the album, but was removed in September, 1977, a month before the October 28th release date. VAA-7523 is listed for "Talk To The Animals". However, the recording used is actually Davis' Reprise recording (KA-6072) from July, 1967, with audience applause added. c, d, e; j, k, l, m, n performed as medleys. g, h, i, j, k, l performed as medley. Sammy Davis, Jr. (tap) on e.
d, e, f; g, h, i, j; k, l performed as medleys. Sammy Davis, Jr. (v) on a-n, p-r, (tap) on n-o. e, f, g, h; j, k, l, m, n, o, p, q, r, s, t, u, v, w, x, y, z performed as medleys. Sammy Davis, Jr. (v) on a-k, m-o, q, s-t, v, x-z; Frank Sinatra (v) on j-m, o-p, r-s, u, w, y-z. g, h, i, j, k, l, m, n, o, p, q, r, s, t, u, v, w performed as medley. Sammy Davis, Jr. (v) on a-h, j, m, p, s, v-w; Liza Minelli (v) on g, i, l, o, r, u, w; Frank Sinatra (v) on g-h, k, n, q, t, w.
These selections recording during the run of "The Ultimate Event" in Detroit. The "Style" medley was performed on 1st December, 1988, but the exact date of Sammy's solo performances are not known. The selections, packaged with behind-the-scenes footage, were broadcast on radio and pay-per-view TV on 10th February, 1989 and released on VHS on 9th July, 1989. Buddy Greco (v) on f; Frank Sinatra (v) on d-f.